Display bins and headers were utilized in stores for many miscellaneous items produced during the ROTJ era. This attractive header card attaches to a display bin, which held activity books. 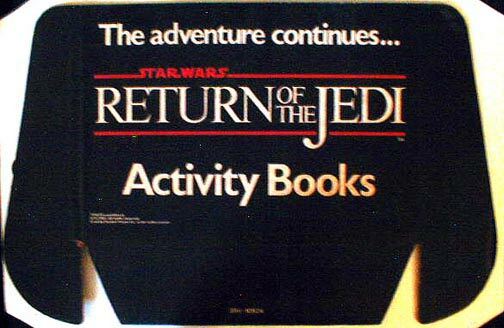 The ROTJ activity books were produced by Random House.